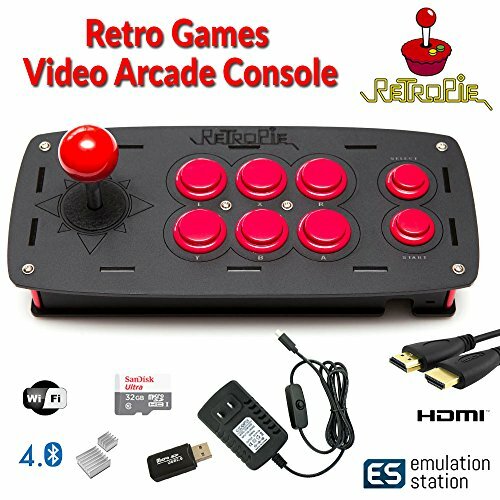 This Retro Games Emulation Console based on the Raspberry Pi 3 Model B comes fully assembled - just add your games (ROMs). It can also function as your media center. NO GAMES (Roms) ARE INCLUDED in this purchase! Installed and configured RetroPie with web manager for drag and drop access! On-board WiFi and Bluetooth Connectivity which lets you connect and play with wireless Playstation controllers. If you have any questions about this product by Crisp Concept Ltd., contact us by completing and submitting the form below. If you are looking for a specif part number, please include it with your message.